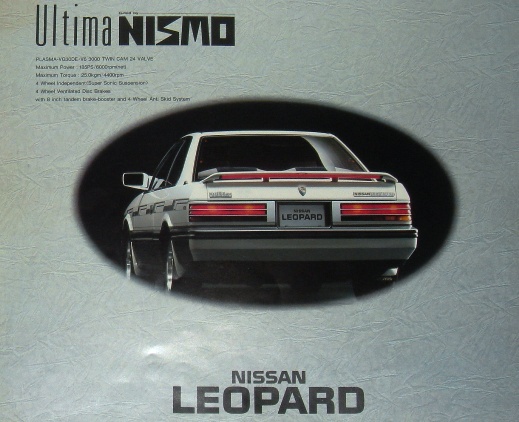 The Nismo Ultima Leopard is extremely rare. Yes, there was actually a Nismo tuned Leopard!!! 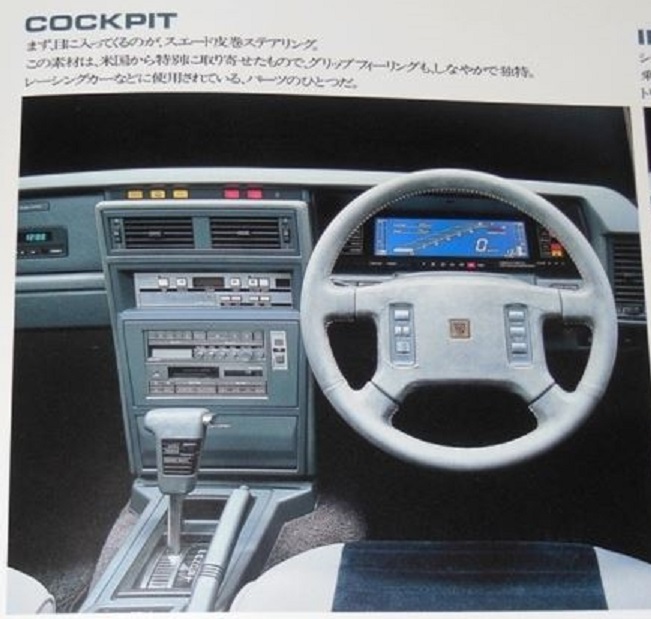 I’ve seen those brochure pictures long ago, but since I have not seen one, I figure it was either a photoshop or concept that never made it to production just like the Ultima X. 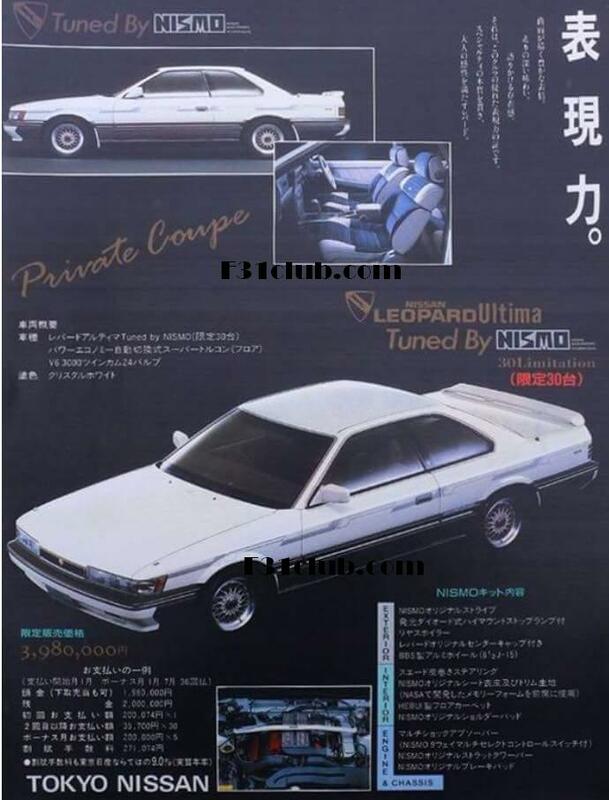 After reading the Mikara blog (http://minkara.carview.co.jp/userid/232669/blog/31066110/) there seems to be only 30 Nismo Leopards… 30!!! 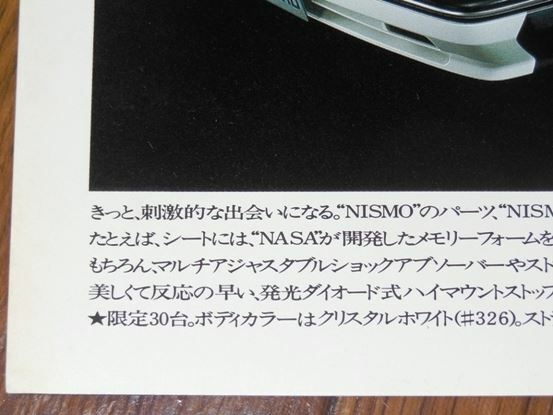 I asked Noguchi-san about this and he said there was a Nismo version, but it is so rare, he has not seen one. 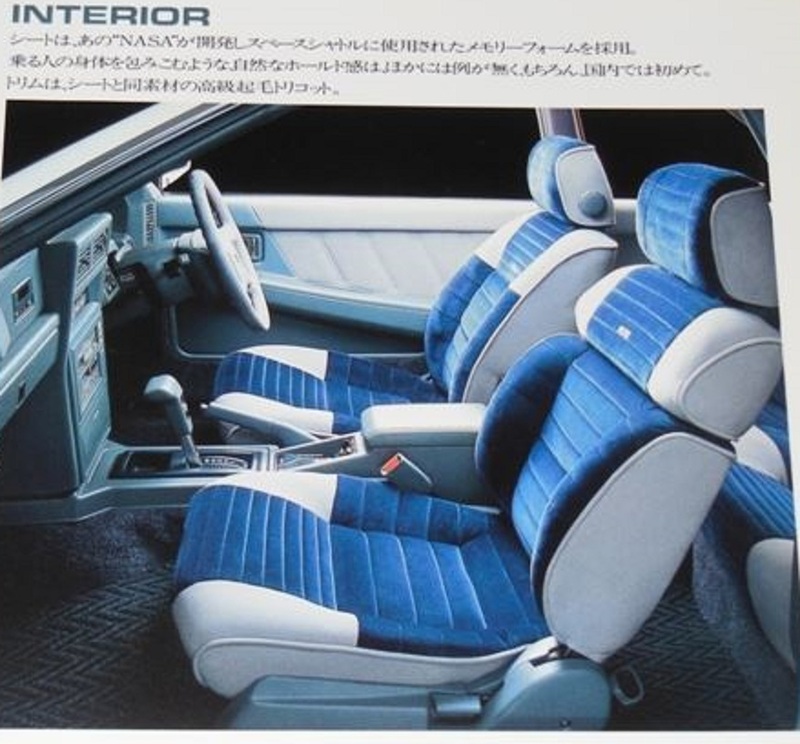 On the blog, it was mentioned even the Nismo brochure was very rare! The Nismo Ultima was Zenki based. NASA material in the seats. Plus unique color/design. BBS wheels with leopard emblem in the middle. Nismo body graphics. Floor mats and Nismo seat belt cover. Noticeable is the 3rd brake light spanning the whole spoiler. 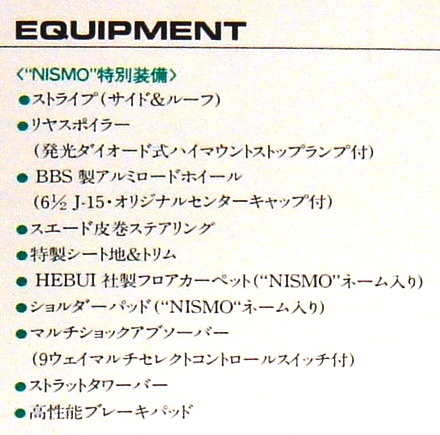 A few other Nismo items. Strut tower bar! For a long time, I wondered if this was real. 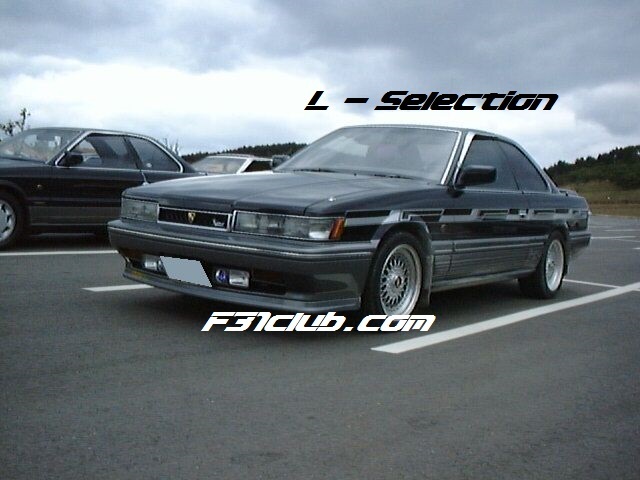 30 Nismo leopards in the mid/late 1980s.. and there hasn’t been a sighting of any of them until…..
March 21, 1999 in Nagasaki, Kyushu Leopard Owners Club (KLF) meeting. The only Nismo Ultima documented!!! Here is some logical reasoning. If you are a proud Leopard owner, as I have seen many Japanese owners are (the leopard is highly prized), they take care of them. If someone has a Nismo version.. I am wondering if it is stored away somewhere (as I found that many leopard owners put their cars into a hibernation mode). 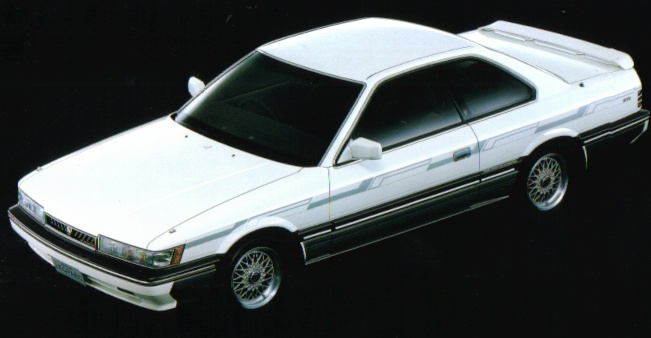 Then again, it has been released in the mid 1980s, a picture of one in 1999… I didn’t see on at the Nissan Leopard meeting in 2016… Are they even still around? And with the limited numbers, would anyone “scrap or abandon” a super rare version, when they can easily sell it or part it out? Updated 2017 – During my time in Japan, I asked Tamai-san about Nismo Leopard. He is historian! He tells me that there are 30 units, but he has never seen one (that is a big deal!) and he has piece of a Nismo Leopard as part of F31 collection! 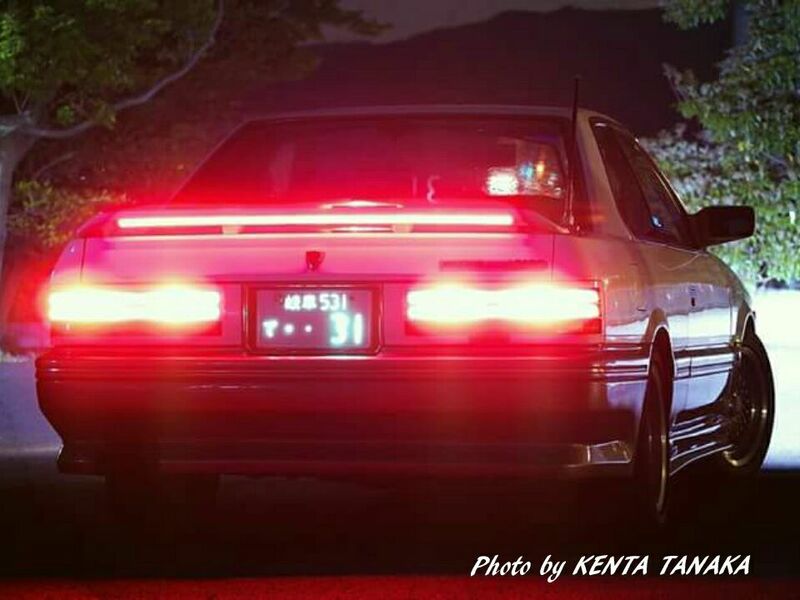 Sugi-san posted a picture of his Leopard a few couple months ago, I was looking at it and I couldn’t believe what I was seeing! He has a Nismo Leopard Spoiler!!! He said he found in a Junkyard a 14 years ago! Satoshi N. – supplying me with information. Kazunori F. – supplying Nismo Leopard ad.